Beginning 2003 the decision was made: the Library Zottegem would implement RFID! RFID was still unknown in the Flemish library world and also in the Netherlands there was not much to do in this area. In the Netherlands, there where a few small library projects that we visited. Several companies where aproched and after a public tender Kno-Tech came out as the winner. The grand opening was on 14 March 2004, the same day as "The day of the Technology". 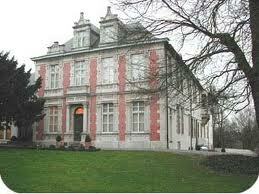 The reason for this is that the library Zottegem is located in a castle. The origin of the castle goes back to the eleventh century! Library Zottegem was the first Flemish public library that switched completely to RFID, shortly after the start, due to RFID, we could increase the opening hours by 30%. Staff got other working schedules and the library became an open house. "the library is only closed on monday-morning and thuesday-afternoon, we are always welcome". Now, ten years later, the RFID system is still running smooth. The installed self-service units, staff stations and security gates are still doing their job and the Lib-Chip software from Kno-Tech is still up to date due to their regular updates.